A truly elegant sampling that represents some of the best California red wines have to offer. This set of premium red wines is a perfect treat for yourself or for anyone on your gift list. This ripe, sleek, elegant wine is carefully crafted then properly cave aged in French oak within one of the most extensive natural cave systems in North America, providing the ideal temperature and humidity throughout the aging process. This wine exhibits intricate and intense flavors of dark plum and cassis, with a thread of spices. Lush in texture, with velvety tannins. Planted in 1971, this iconic vineyard consistently produces distinctly superb Pinot Noir. 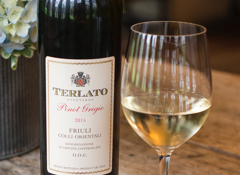 This wine exudes earth aromas of dried herbs & spice with hints of cherry and rhubarb. 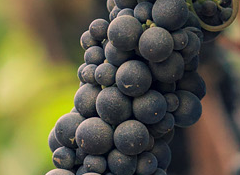 In addition to the enticing fruit and earth, this Pinot exhibits lovely floral aromas. The silky palate is framed nicely by balanced acidity and ripe tannins. Full bodied and mouth filling with rich black fruit flavors and a long, lingering finish. This style of Syrah is sought out by collectors around the world. Enjoy the wine now or cellar it for 10 or 15 years.